Let's face it. 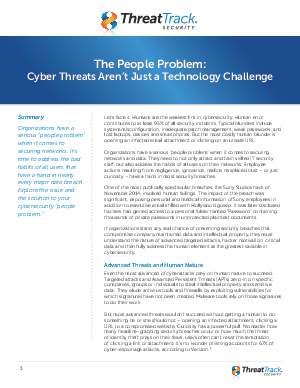 Humans are the weakest link in cybersecurity. Human error contributes to at least 95% of all security incidents. This paper explores the challenges with managing the human element and outlines seven steps you can take to improve your security posture.